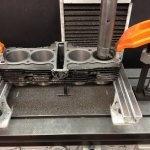 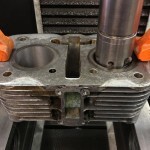 When using our BERCO AC650M the operations used for re-boring car type cylinder blocks will be the same as those for the re-boring of motorcycle cylinder barrels. 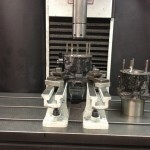 However the machining of these cylinders does present a series of different problems. 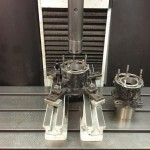 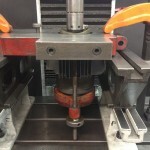 Most of these are associated with the setting up of the job before any machining begins. 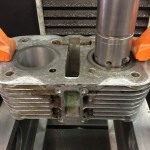 Each of the many and varied configurations of motorcycle engine design requires a different method when setting up the job. 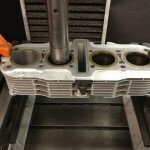 With single cylinder, twin, triple, four and even six cylinders all being commonplace in the motorcycle world not to mention “ V “ configurations and engines with crankcases and barrels sharing a common casting we can see that a variety of approaches are required. 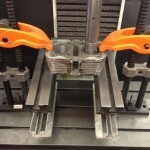 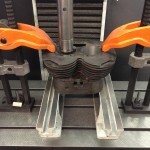 At H T Howard we have dedicated jigs and fixtures which allow us to deal with these challenges successfully. 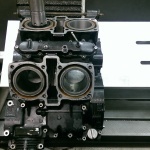 Once the job is set on the machine, the re-boring and honing operations are performed in exactly the same way as for car engines. 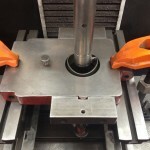 Only the method for mounting the job varies. 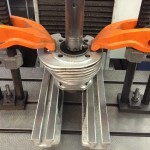 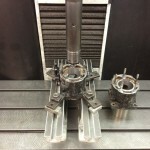 Reboring Yamaha TZR Twin Cylinders mounted on single parallel with base clamps. 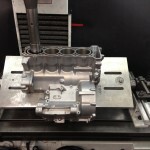 Reboring a Ducati Bevel Twin 900cc cylinder barrel using our dedicated machining fixture. Reboring a Ducati Bevel Twin 900cc cylinder barrel rebored using our Dedicated Machining Fixture.